It's all for an amazing cause! 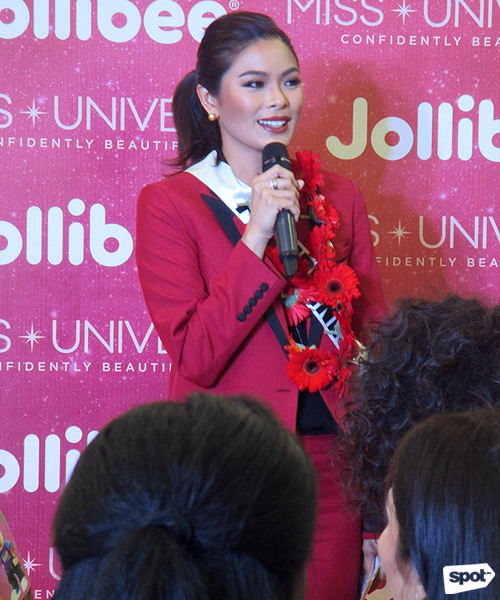 Miss Philippines Maxine Medina welcomes the press and fellow candidates. 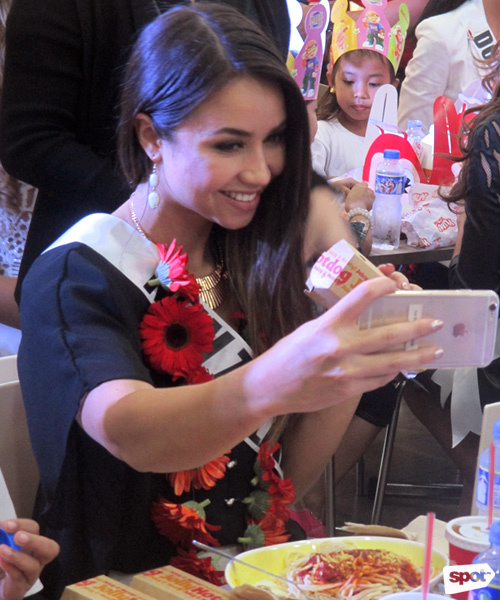 Miss Venezuela Mariam Habach takes a selfie with her new friend. 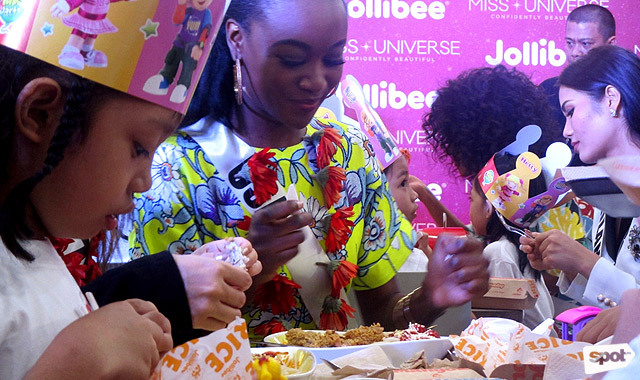 Miss USA Deshauna Barber seems to be enjoying her Chickenjoy. Miss China Li Zhen Ying loves the Peach Mango Pie. 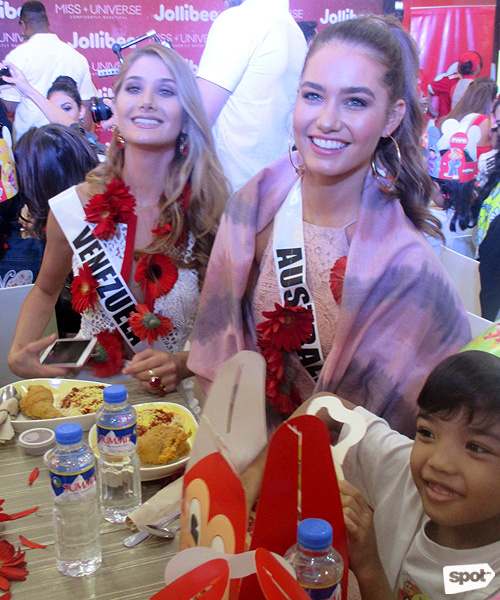 Miss Spain Noelia Freire is all smiles. 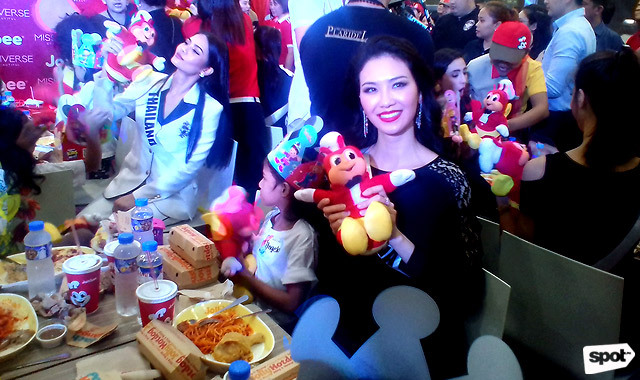 The gorgeous queens strike a pose with Jollibee and the kids. They seem to love their new toys. 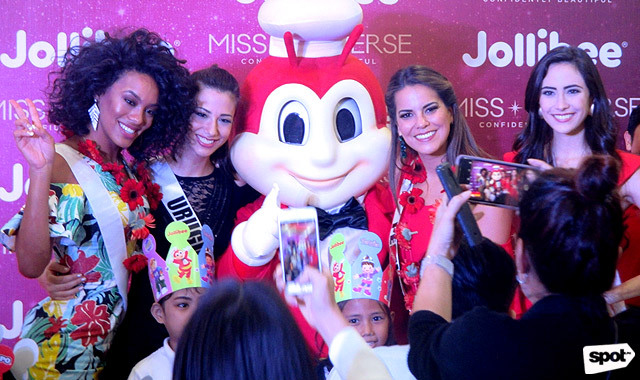 If you're excited about the January 30 pageant, they've officially opened online voting so you can make sure your favorite candidate joins the Top 12. Fans can vote up to 10 times a day via the Miss Universe site, the mobile messaging app Vodi, or via Twitter using the #MissUniverse hashtag and the country-specific hashtag that can be found on the voting site. 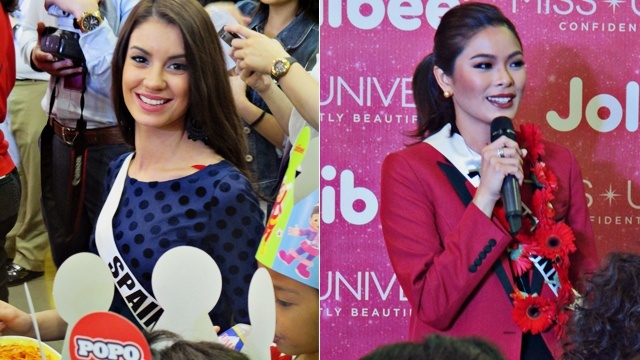 Voting period runs from January 24 to 28 only.